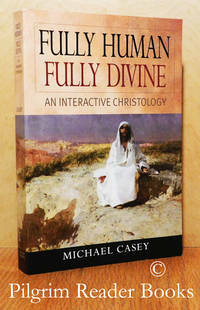 Fully Human, Fully Divine: An Interactive Christology. Liguori, Missouri. 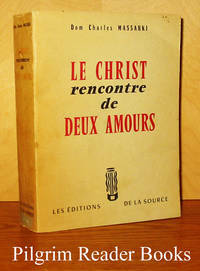 : Liguori Publications. Liguori / Triumph.. Near Fine. 2005. Soft Cover. 8vo - 21 x 14 cm. ; xvi - 352 pp. 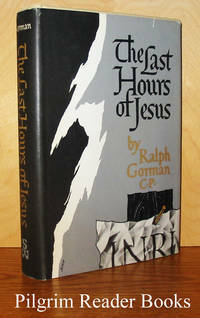 First published in 2004, this is the second printing. From the back cover: "In eloquent prose, Michael Casey offers a Marcan-based Gospel exploration of the humanity and divinity of Jesus. Chapters on the dynamics of Jesus' life on earth as portrayed in Mark alternate with chapters that turn their attention back to our own human condition. . . . As the chapters of this book proceed, we are primed to embrace renunciation, detachment, knowledge of the truth about ourselves, our humble realization of our own lack of merits, and the discovery of a contemplative intensity that allows us to step outside ourselves." Thirty pages of end notes, 5 page index of bibical texts and a 2 page index of authors. Michael Casey has written a rather nice 6 page note on Cistercian Spirituality by way of an introduction and he is a Cistercian monk in Tarrawarra Abbey in Victoria, Australia, just northeast of Melbourne. 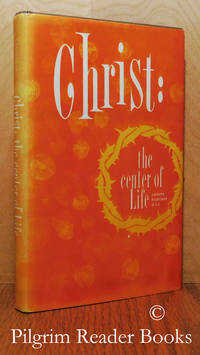 Very minor wear to the tail edge of the front cover, else fine. .
Christ: The Center of Life. Milwaukee, Wisconsin. : The Bruce Publishing Company.. Very Good in Very Good dust jacket. 1968. Hardcover. 8vo - 21.5 x 13.5 cm. ; xi - 158 pp. Tan cloth over boards with gilt lettering on the spine. A book on Christology that also (from the dust jacket) "relates the question of Christ's personality to the problems of genuine growth in the Christian Life. Father Fichtner expores subjects that range from St. Paul and the early Church Fathers to Paul Claudel, Jean Paul Sartre, the Vatican Caouncil and the evolutionary theories of Telhard de Chardin." Footnotes throughout and with a 2 page index. The library markings, none of which are external, are a stamp on the title page and attachemtns on the back end papers. Previous owner's name crossed out on the end papers. Otherwie clean with a sound binding and having only mild wear to the spine tips. The dust jacket has very mild edge wear and the spine is a tad faded. .
Apostolic Christianity, or the Witness of the Apostles to Christ. By Vassall-Phillips CSSR., Rev. O. R.
London, UK. : Burns Oates & Washbourne.. Good with no dust jacket. 1932. Hardcover. 12mo - 18.5 x 12.5 cm. ; xxxvii - 506 pp. Blue cloth over boards with gilt lettering on the spine and blind stamped lettering and a border rule on the front board. Printed on a cream coloured laid paper. Two and a bit page foreword by Rev. Richard Downey, the then archbishop of Liverpool. Two page bibliography and a 4 page index. The library markings are the usual. The book shows mild wear to the externals though the spine is quite faded. Otherwise clean with a sound binding. A clear and removable archival cover has been fitted. .
New York. : Continuum.. Very Good in Very Good dust jacket. 2002. Hardcover. 0826467814 . 8vo - 21.5 x 13.5 cm. ; vii - 183 pp. Beige cloth over boards with black lettering on the spine. 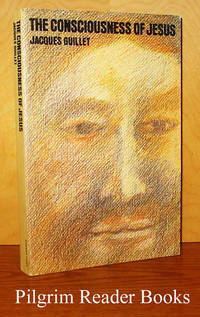 Translated from the German of 2001,"Bilder von Jesus", by John Bowden. 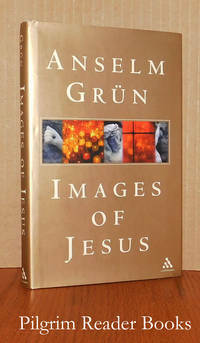 After a 5 part introductory prologue, 50 images of Jesus drawn from the gospels are presented with each chapter being "short enough to be used as the basis for meditation or lectio divina". The work ends with a 7 part epilogue that effectively personalizes for the reader what the book is all about. Previous owner's name blacked out on the front free end paper, otherwise the book is clean with a sound binding. Both the book and the dust jacket have only minor shelf wear to the spine tips. .
New York. : Newman Press.. Very Good. 1972. Softcover. 8vo - 23 x 15 cm. ; (6) - 216 pp. 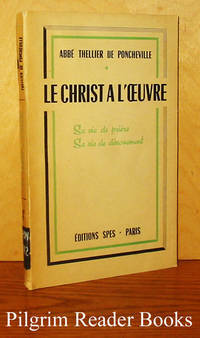 Translated by Edmond Bonin from the 1971 French edition "Jésus devant sa vie et sa mort". Two page index and with notes following each chapter. The library markings, none of which are external are stamps on the first (half-title) page and an unused pocket on the blank verso of the last page. Mild wear to the covers, the spine is a tad sunned or darkened, otherwise clean with a tight binding. . 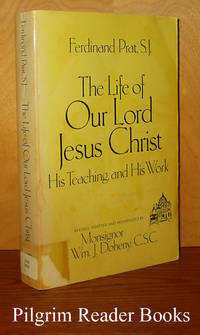 The Life of Our Lord Jesus Christ, His Teaching and His Work. By Prat SJ., Ferdinand. (edited by Msgr. William J. Doheny, CSC). Privately published.. Good. 1980. Softcover. 8vo - 23 x 15 cm. ; 565 pp. Approbations present. Privately printed. Monsignor Doheny revised, adapted and modernized Father Prat's work. Sunned spine, light wear on card stock cover. The library markings a label on the lower spine, stamp and note on the title page and the following page and a pocket on the inside of the back cover. Text pages clean. From the title page: "This book is . . . strictly limited to private circulation as a gift to benefactors and friends". . 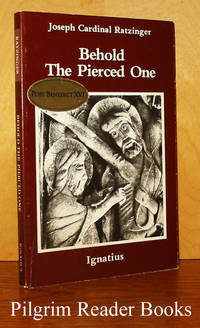 Behold the Pierced One: An Approach to a Spiritual Christology. By Ratzinger, Joseph Cardinal. (Pope Benedict XVI). San Francisco, California. : Ignatius Press.. Very Good. 1986. Softcover. 0898700876 . 8vo - 20.5 x 13.5 cm. ; 128 pp. Translated from the 1984 edition "Schauen auf den Durchbohrten" by Graham Harrison. 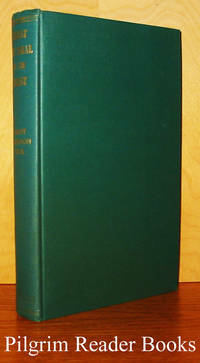 Ratzinger, in the preface, calls these a series of Christological meditations of which there are 6: "Taking Bearings in Christology", "The Mystery of Easter: Substance and Foundation of Devotion to the Sacred Heart", "Communion, Community and Mission: On the Connection between Eucharist, (Parish) Community and Mission in the Church", "The Passover of Jesus and the Church: A Meditation for Holy Thursday", "The Lamb Redeemed the Sheep: Reflections on the Symbolism of Easter", and lastly "Christ the Liberator: An Easter Homily". Minor wear to the covers, publisher applied sticker "Pope Benecict XVI" on the front cover and a previous owner's small ownership (?) stamp on the first page. Otherwise very clean with a tight binding. . 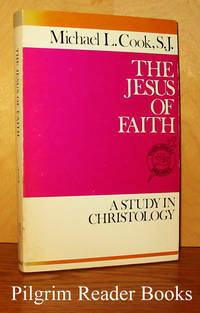 The Jesus of Faith: A Study in Christology. By Cook SJ., Michael L.
New York. : Paulist Press.. Very Good. 1981. Softcover. 8vo - 20.5 x 13.5 cm. ; vi - 208 pp. One of the series "Theological Inquiries: Studies in Contemporary Biblical and Theological Problems" published by Paulist Press and under the general editiorship of Lawrence Boadt CSP. Previous owner's name in pencil on the title page and signed by the author ("Mike") on the dedication page with a note to said previous owner. Minor shelf wear to the covers and the spine is a tad faded, otherwise clean with a sound binding. ; Signed by Author . 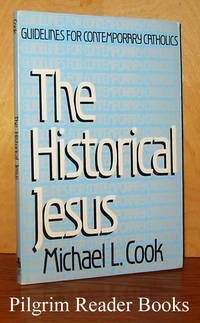 The Historical Jesus; Guidelines for Contemporary Catholics. Chicago, Illinois. : Thomas More Press.. Very Good. 1986. Softcover. 0883471884 . 8vo - 20.5 x 14 cm. ; 117 pp. Four pages of discussion questions, 2 pages of suggested reading and 3 pages of works and scripture citations. The library markings are monastery stamps on the first 2 pages and the tail margin of page 57 along with a small label removal scar on the lower back cover. Otherwise clean with a sound binding. ; Ex-Library . 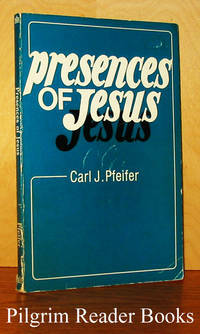 By Pfeifer SJ., Carl J. Mystic, Connecticut. : Twenty-Third Publications.. Very Good. 1984. Softcover. 0896221938 . 8vo - 21.5 x 14 cm. ; 110 pp. From the back cover: ". . . portrays the presences of Jesus discovered within universal human experiences, in the historical person of Jesus, and in the Christ of faith." Previous owner's address label on the first page and the covers show mild wear and some light scuffing. Four page list of recommended books to read at the back. .
What Are They Saying About the Grace of Christ? By McDermott SJ., Brian O. New York. : Paulist Press.. Near Fine. 1984. Softcover. 0809125846 . 8vo - 20.5 x 13.5 cm. ; (6) - 69 pp. From the back cover: ". . . discusses the understanding of Grace in terms of both Christology and theological anthropology. He brings these two theological disciplines together in order to provide a picture of the dynamic relationship between God and humans . . ." Previous owner's name on the inside of the front cover, otherwise the book appears to have never been used and is in a fine condition. .
New York. : Macmillan.. Very Good in Very Good dust jacket. 1959. Hardcover. 8vo - 21 x 14 cm. ; xi - 131 pp. Gray cloth over boards with purple lettering on spine and front. From the dust jacket: ". . . Father Gerard Rooney explains the great mystery of Christ's death, telling why God became man. He also explains how Christ repaired the broken bond between God and man. The author speaks of the evil that Gos permits to exist in the world . . .". Minor shelf wear to both book and jacket and the jacket has a faded spine. Otherwise very clean and sound. . Le Christ rencontre de deux amours. (2ème édition revue et corrigée). Paris, France. : Editions de la Source.. Very Good. 1962. Softcover. 12mo - 19 x 14 cm. ; 1565 - (3) pp. The text is in French. 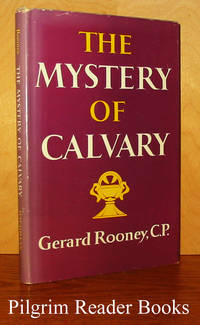 First published in 1958, this is the second edition, revised and corrected. Dom Massabki was a Benedictine monk of L"Abbaye Sainte-Marie de Paris at the time of writing. At the back: "Table des citations bibliques" - 17 pp, "Table des noms propres" - 9 pp, "Table des ouvrages cités" - 11 pp, "Table analytique" - 27 pp, "Table des matières" - 19 pp. The beige covers with red and black lettering are tanned and the spine is darkened. The interior is clean and the binding is very good and sound. . The Last Hours of Jesus. New York. : Sheed & Ward.. Very Good+ in Very Good+ dust jacket. 1960. First Edition. Hardcover. 8vo - 21 x 14 cm. ; viii - 277 pp. Beige cloth over boards with gilt red letting on the spine. Blind stamped cross centered on the front board. Map on page 2, "Jerusalem at the Time of Jesus". From the dust jacket: "Father Gorman, as the long-time editor of The Sign, knows the needs of the general reader - and has filled them admirably. 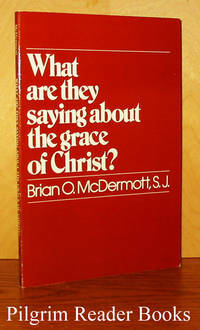 He knows the scriptural and archaeological scholarship surrounding the Passion but he spares the reader the pains of acquiring it because he presents in clear and authoritative terms those factual details of time, place and persons to a full realization of what actually happened during the last hours of Jesus." 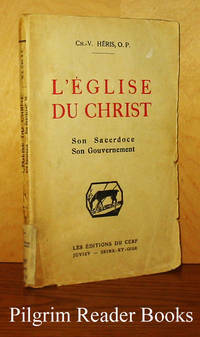 Both book and jacket show only very mild shelf wear. .
L'Église du Christ: Son sacerdoce, son gouvernement. By Heris OP., Ch. V.
Juvisy, Seine et Oise, France. : Editions du Cerf.. Good. 1930. Softcover. 12mo - 18.5 x 12 cm. ; vi - 86 - (2) pp. The text is in French. Off-white wraps with black and red lettering. Library markings are a label taped onto the lower spine ans stamps on the title pages. The externals show moderate wear, much more so on the lower spine. There is underlining and marginalia present, not a lot but it is there. ; Ex-Library . Le Christ a l'oeuvre: Sa vie de prière. Sa vie de dévouement. By de Poncheville, Abbe Thellier. Paris, France. : Editions Spes.. Very Good. 1952. Softcover. 12mo - 18 x 11.5 cm. ; 141 - (3) pp. The text is in French. Off-white wraps with black and green lettering. The approbations are dated 1942. The library markings are a library number on the lower spine, and a library stamp on the first three pages. Otherwise the interior is clean and the externals show minor wear with a darkened spine. ; Ex-Library . 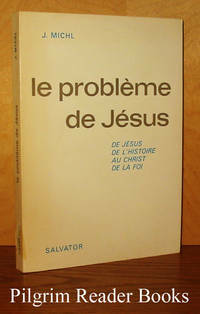 Le problème de Jésus: De Jésus de l'histoire au Christ de la foi. Paris, France. : Editions Salvator, Mulhouse.. Very Good. 1968. Softcover. 12mo - 19 x 13.5 cm. ; 141 pp. The text is in French. Translated from the German "Fragen um Jesus - Antworten aus Historischer Sicht" by Léon Hégelé. Preface by Jean Julien Weber, the Bishop of Strasbourg. Three page bibliography. 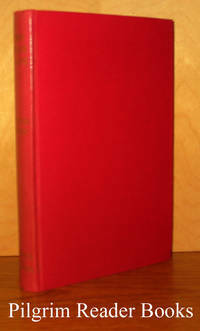 The library markings are minimal; sticker remains on the lower spine and a library stamp on the title page, otherwise very clean with a solid binding. ; Ex-Library . Christ; Our Life, Our Love. Dublin, Ireland. : Clonmore & Reynolds.. Very Good with no dust jacket. 1953. Hardcover. 12mo - 18 x 12 cm. ; 178 pp. Red cloth over boards with gilt lettering on the spine. The text block head edge is stained red as issued. Fr. Harris was a priest of the St. Columban's Foreign Mission Society. A consideration of the person of Christ in light of the names associated with Him by way of the feast days of the Church such as Christmas - Emmanuel, Easter - Risen Saviour, Pentecost - the Sending of the Paraclete etc. A table of the 16 feasts/titles considered is given on the last page. Reproduction frontis illustration of "The Christ of Emmaus" by Fra Angelico. The externals show mild wear to the corners and spine tips and the spine is a tad faded with the gilt lettering being a trifle dulled too. The interior is clean and the binding is tight. A clear and removable archival has been fitted. . The Other Side of Christ. By Smith, Fr. Robert D.
Avon-by-the-Sea, New Jersey. : Magnificat Press.. Very Good. (1987). Softcover. 0940543028 . 8vo - 20 x 14 cm. ; (6) - 158 - (5) pp. 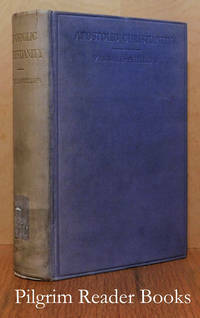 The ten chapters in this volume were originally published in a slightly different form as a weekly column in the periodical, "The Wanderer". This book "presents the fullness of God's love in redemption - not amnesty for all whether they repent or not, but an atoning sacrifice to save from the fires of hell those who believe and obey." 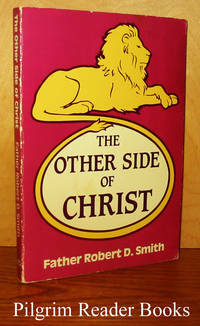 Included in Father Smith's perspective s is a chapter on Shakespeare and his view of the narrow path. Minor wear and scuffing to the covers and spine, otherwise clean and tight. .
London, UK. : Sands & Co.. Very Good+ with no dust jacket. 1952. First Edition. Hard Cover. 8vo - 21.5 x 14 cm. ; 352 pp. Green cloth over boards with gilt lettering on spine. A collection of spiritual conferences by Columba Marmion, when he was Abbot of Maredsous Abbey. Translated from the French by Dom Matthew Dillon, a monk of Glenstal Priory. Previous owner's name and date on the front free end paper. The spine tips show light shelf wear and gilt publisher's name on the foot of the spine is faded, the other gilt lettering is bright. A clear and removable archival cover has been fitted. A very nice copy. .